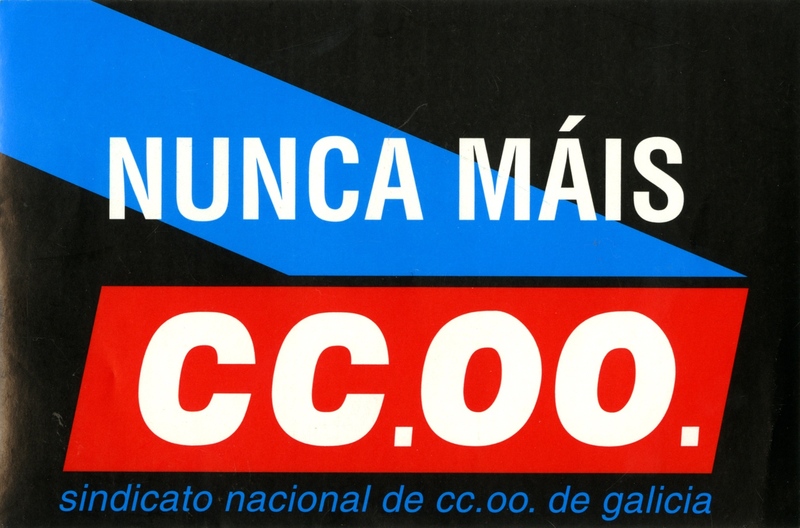 This sticker is based off of the Galician flag, normally white with a blue stripe through it, but in this case the white has been painted black. The sticker reads, "Nevermore," refering to the people's frustration and anger with the oil spill of 2002. The spill poluted thousands of kilometers of coastline in Galicia, Spain, affecting thousands of beaches in Spain, Portugal and France. The spill took a toll on the fishing industry and was Spain's largest environmental disaster in history. This event triggered a national campaign raising environmental awareness.